The heart is the symbol of love, affection, and intimacy for many. However, not everyone knows much about actual heart anatomy. What is the difference between a valve and a chamber? What are the major arteries and veins? If you don’t know the answers to these questions, then this is article is for you. The Atriums are located within the upper part of the heart. There is one is on the right side, and the other is on the left side. Oxygenated blood is pumped through the left atrium into the body. Once the blood has deposited oxygen to other parts of the body, it is pumped into the right atrium of the heart where it is recycled. The Ventricles are on the bottom of the heart and often considered its main chambers which collect blood from the left atrium and expels it toward the lungs. Blood flows through the heart in one direction from one chamber to the next through a series of valves. These valves consist of tissue that is about as thick as a piece of paper. 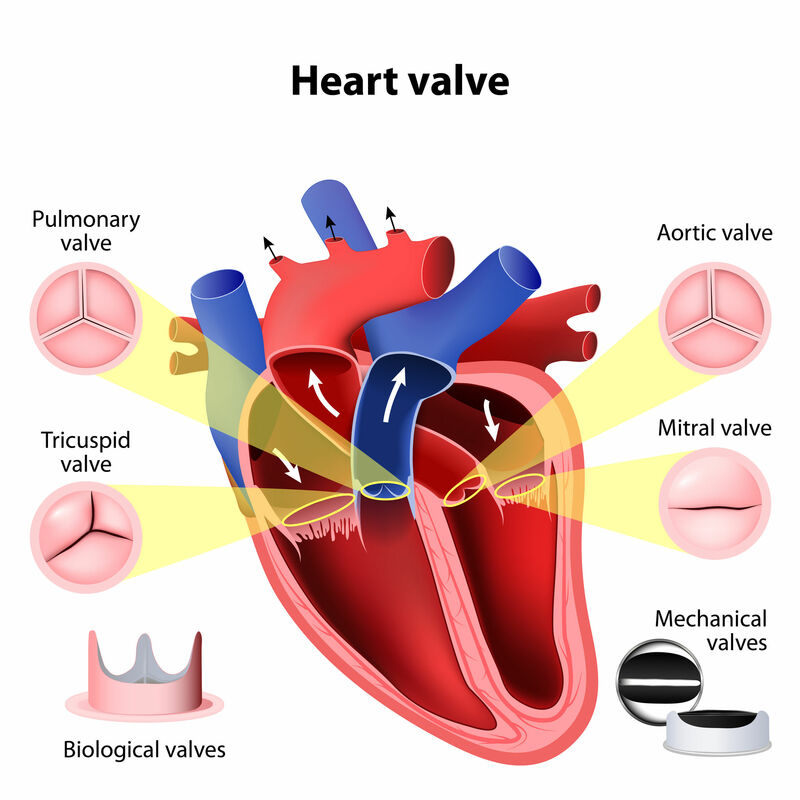 Like the heart chambers, there are four heart valves between each of the chambers.